Authentic Buck Knife w/ your logo engraved on the Folding Ranger Knife. This knife is one of the traditional favorites of Buck Folding Knives. Handle length 4 1/4", Blade length 3" - Blade Type - Clip. Price includes custom engraving on the blade 1 3/8" w x 3/8" h.
I am a serious knife and survival specialist. I bought and order of 48 Buck Ranger Knives engraved with our logo from Promotional items. The knives were real Buck brand and engraved to perfection replication of our brand logo. 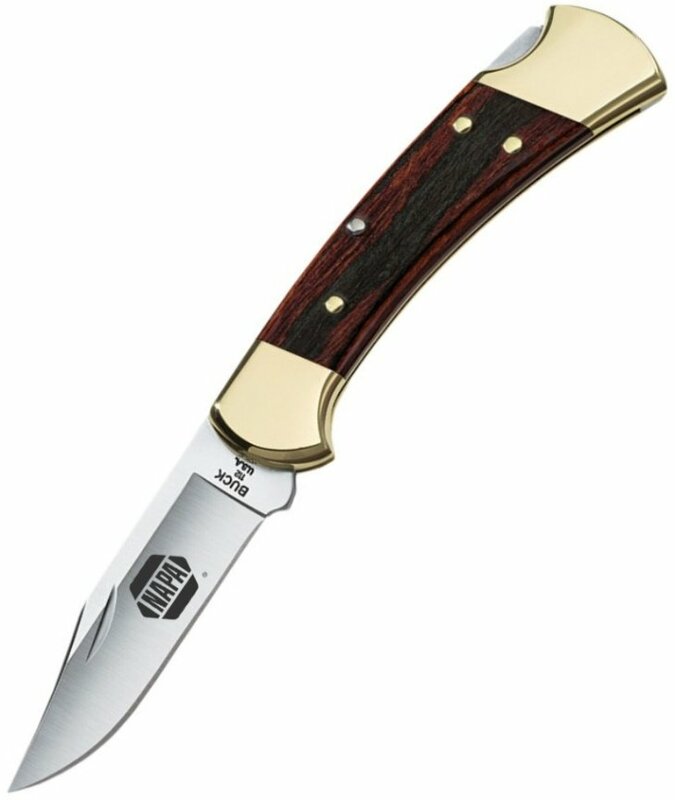 I will be back mid year to purchase another order of engraved Buck Knives and recommend PII to others in the market for high quality promotional products all the way around.